Yesterday evening my husband and I attended the Reno Bike Project's Annual Member and Volunteer Appreciation and Potluck. 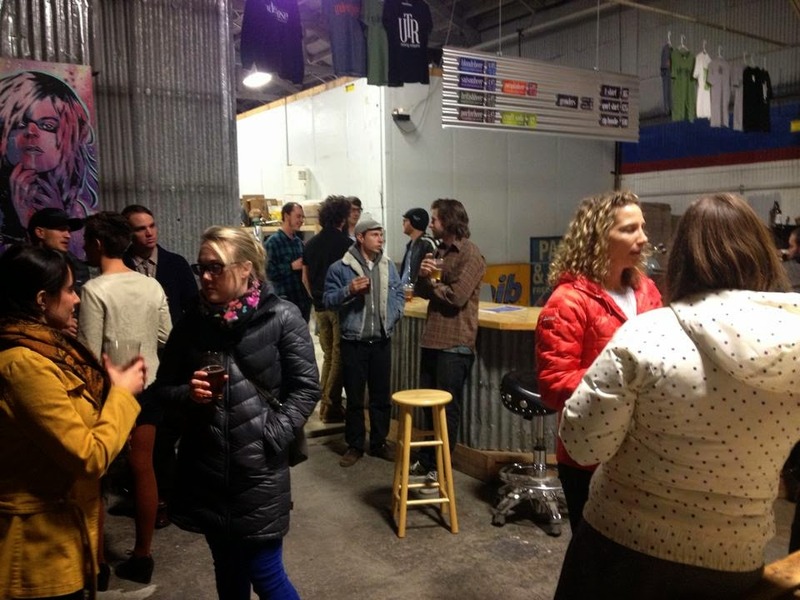 The event was held at Under the Rose Brewing Company on East 4th Street near the community bicycle shop near downtown Reno. 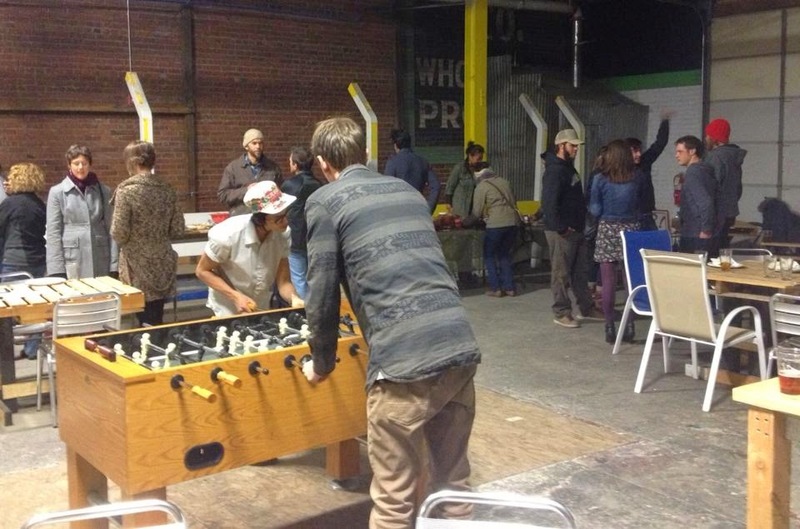 Since the Reno Bike Project is a non-profit community bike shop, it relies heavily on volunteers to help with the success of the community outreach, educational programs and events. People give hours and hours of their personal time to repair bicycles donated from the community to give to kids in need during the holiday season. Others, like Rachel (who received one of the Volunteers of the Year Award) are at Ladies' (bike repair) night every Tuesday evening to offer a helping hand. Each guest brought something to share. There was a large buffet table full of delicious food -- homemade quiche, cookies and breads, Brussels sprouts salads, chips and dips! Meanwhile, vegetarian burger patties and bratwurst were cooked on a grill. The brewery provided free beer on tap. The Saison and Pumpkin beer were my favorites. 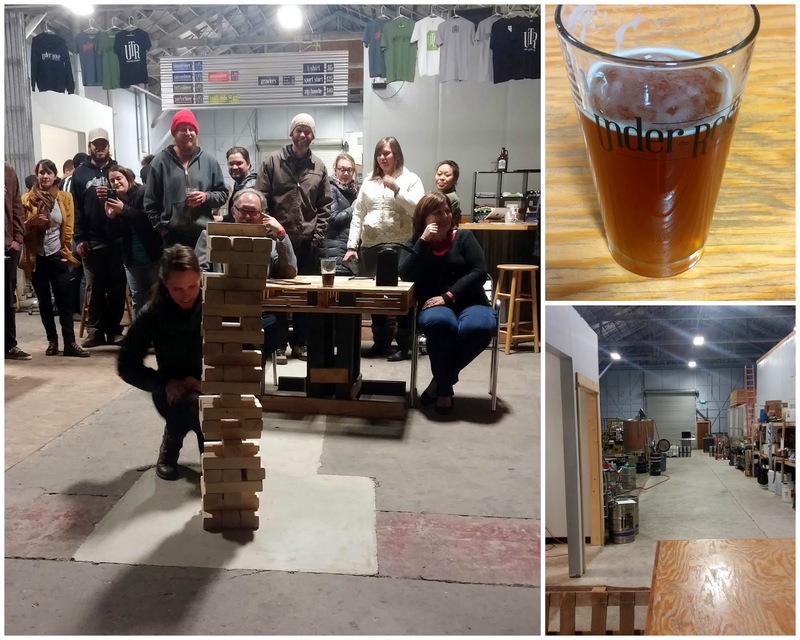 Members and volunteers chatted with each other, our voices and laughter filled the cavernous warehouse of the brewery. We played games like Jenga and fooseball. I didn't say harmless games because, believe it or not, I actually sprained my hand playing team fooseball!! It's going to hurt to squeeze the brake levers during my bike commute to work this week. 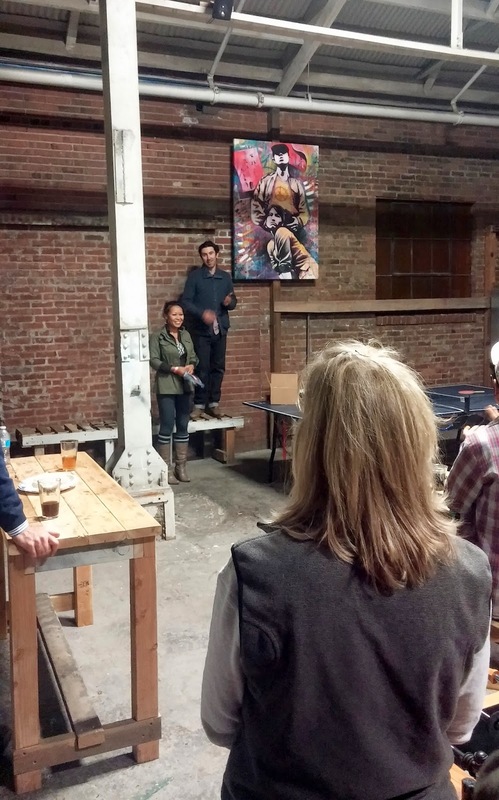 Near the end of the night, the Executive Director and co-founder of Reno Bike Project stood on a table to recognize the selected Volunteers of the Year and Members of the Year. One by one they walked up to receive their award while everyone in the room clapped and cheered, myself included with great joy because I appreciate so much all that they do! I was completely surprised when he called my name to receive an award as one of the Board Members of the Year. It caught me off guard as I bashfully walked up to the front. Public recognition is just not something I have yet to learn to accept with grace. Because I was flustered, all I could hear the Director say was something about "not only does she talk the talk but she walks the walk commuting by bicycle from Sparks to Reno every day". I am humbled to receive such recognition, as undeserving as I felt, among these volunteers who have done so much throughout the year! All I know is that I just LOVE to do what I do and help others get in to bicycling. Because I believe so much in what bicycling can do for our physical and mental well-being, and for us as an individual--and for our community. Bicycling brought all of these people together. People who have their own life--their family, jobs, and personal commitments and obligations to give their precious time and put forth their best effort to make Reno and Sparks a better community for bicycling. 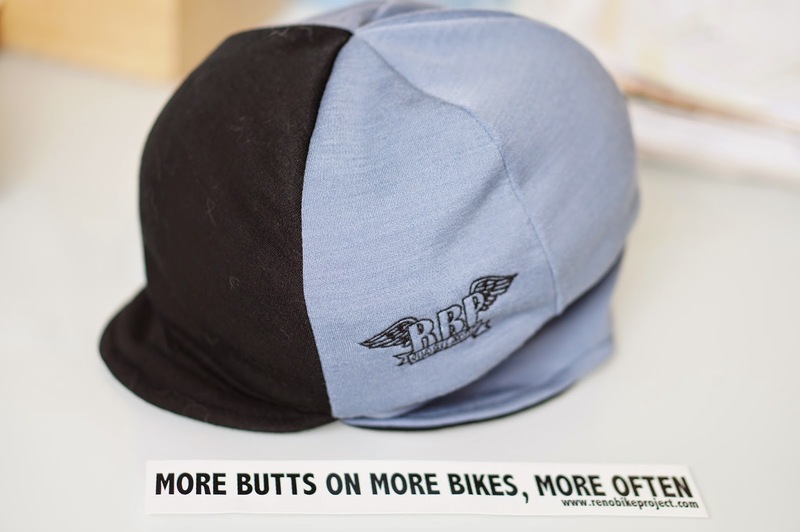 At the end of the day, all we want is MORE BUTTS, ON MORE BIKES, MORE OFTEN!! The wool cap I will wear proudly and motto I keep close to my heart. Rats, I'm so bummed I had to miss this (and free beer)! Glad you were recognized for your efforts!